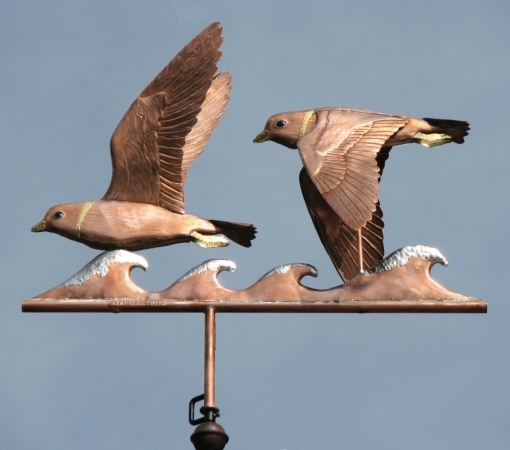 This Plover Weathervane, Charadrius melodus, beautifully captures the lovely sight of Piping Plovers skimming the waves. Whichever of the many plovers you are familiar with in your region, this profile is unmistakable. 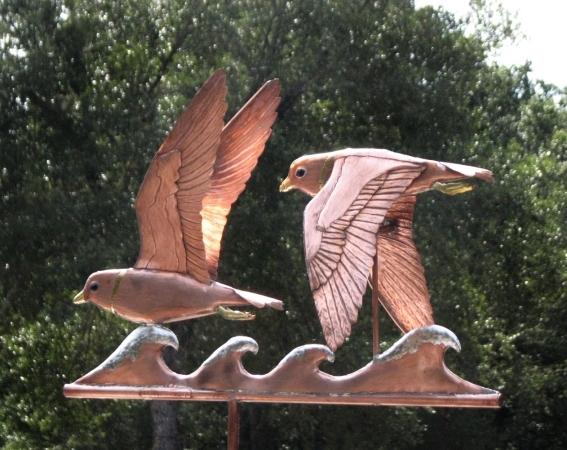 Constructed as a mirror image, high detail, copper vane, it is fabricated in swell bodied style. 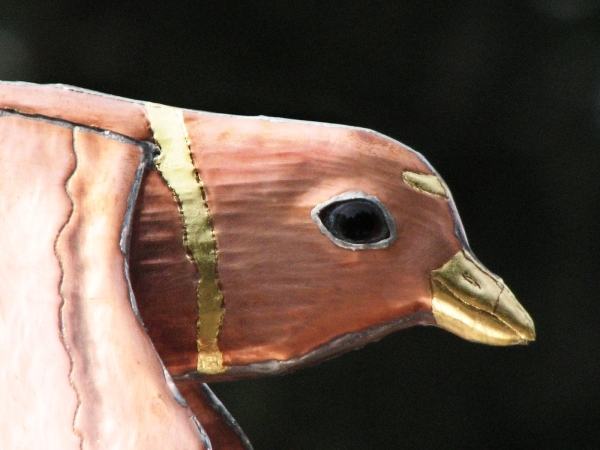 The birds have glass eyes and optional gold leaf gilding to create a bright contrast for the neck ring, head detail and feet. Also requested was optional palladium leaf on the ‘white water’ of the wave tips. The weather vane pictured here was mounted at the seashore in Florida. These customers chose two ‘Lucky Pennies’ to be used to cap the ends of the horizontal tube, and they had us add an inscription to the tube. If this is the design for you, but not exactly the specific plover you want, we will happily make those small adjustments. 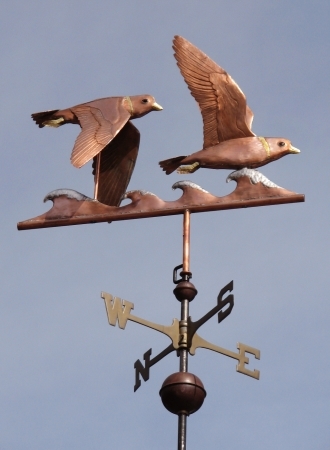 Every weathervane at West Coast Weather Vanes is made to order. We will work out the specifics and personalizations of your vision before assigning the project to one of our master vane makers.